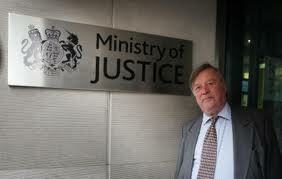 The ConDem Coalition’s attack on legal aid is just one of their many class-based attacks at present. As with nearly all of their so-called austerity measures, in practice it is once again lower or un-paid people who are being asked to foot the bill to prop up the financial system and keep the rich ever richer. ‘The Prison Works’ is a cracking little pamphlet recently published by the Campaign against prison slavery (CAPS) & Brighton ABC. If you think prison does actually work, then read this. If you dont think it works…well read it anyway as it will broaden your knowledge and understanding. The term ‘prison works’ is a play on the dogmatic ideas of the likes of Michael Howard and the Tory governments from 1979 to 1997. Just put the term in a search engine and you’ll see what we mean! Recently Joe Black of CAPS, one of the most knowledgeable anarchists involved in prisoner solidarity work, was interviewed for the lefty rag Solidarity (organ of trot group Workers Liberty). Its a wide ranging interview covering diverse prison and prisoner-resistance related topics, and well worth a read, so we’ve cut and pasted into our blog below. You can read the original online version here if you think you can handle exposure to WL! We also recommend a visit to the CAPS website where there is plenty of info, facts and politics. Bristol ABC has received a copy of an excellent article tracing the privatisation programme of British prisons, and the profit motive behind it. Luckily for the profiteers, the British Govt PLC is expanding prison capacity, and asking them to get rich helping with it. Unluckily for us, it means more of us face the misery of prison conditions.